Techniques for maximizing profit. How small business owners thrive during any economic condition. Covers how to price services, raising prices, cutting prices, price specials, calculating sales needed to make price changes work, best ways to handle price increases, how much you can raise prices, handling price objections, stealth pricing, bottom price feeders and when to turn down work. 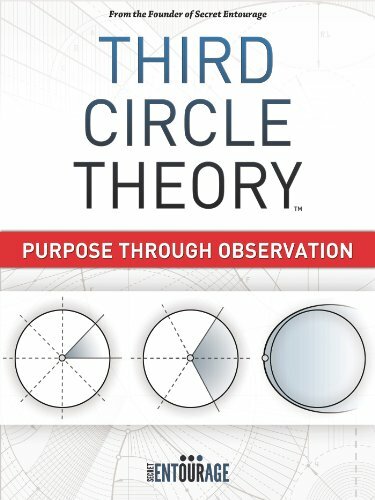 The Third Circle Theory is the theory Secret Entourage created to explain how the human mind evolves from birth to the stage where it can find "purpose". The theory which has proven to be the same for all the successful individuals who have not only found their purpose in life but have executed on their beliefs, and as a result established themselves as successful innovators, explorers, educators, and entrepreneurs is now clearly defined and explained in over 160 pages. The Third Circle Theory consists of three circles illustrating, 3 worlds, 3 perspectives, 3 visions and 3 cycles. Each circle consists of a world, a perspective, a vision and a cycle of the mind. All individuals go through the First Circle, some will evolve to the Second Circle, and very few to the Third Circle, which is why we call this theory the Third Circle Theory. Este es un ebook de técnicas comprobadas para personas que quieren ayudar a otras personas: coaches, trabajadores sociales, educadores, consultores, terapeutas y psicoterapeutas, asesores, mentores, profesionales de la ayuda, formadores… Es un ebook que “ayuda a ayudar”, para ser más eficaz en la ayuda y en el servicio a otros. En él descubrirás lo que yo he aprendido en mi gabinete de coaching en los últimos siete años; pero que, sin embargo, no me enseñaron en ninguna de las escuelas en las que he estudiado a lo largo de mi vida. Aunque no soy un terapeuta ni consultor, este manual será de gran utilidad a todas las personas que atienden a personas y las ayudan de un modo u otro. En el ebook me refiero a todos ellos con el término “coach”. Los englobo en esa palabra aún a sabiendas de que son roles muy diferentes a efectos de simplicidad. Entiéndelo como una generalización a afectos prácticos. Una vez más, este ebook es para practicantes de muchas profesiones que tiene en común . . . Fashion Unraveled offers an inside look into the operations of a small fashion design business. This book offers tips, tools of the trade and valuable insight into the industry. This acts as a guide for developing a customer, market and collection.  The book introduces the reader to sourcing and production, as well as explains marketing concepts. Mountains Of Creativity Lyrical Essay is a presentation of ideas about creativity. An instant classic, this revised and updated edition of the phenomenal bestseller dispels the myths about starting your own business. Small business consultant and author Michael E. Gerber, with sharp insight gained from years of experience, points out how common assumptions, expectations, and even technical expertise can get in the way of running a successful business. Gerber walks you through the steps in the life of a business—from entrepreneurial infancy through adolescent growing pains to the mature entrepreneurial perspective: the guiding light of all businesses that succeed—and shows how to apply the lessons of franchising to any business, whether or not it is a franchise. Most importantly, Gerber draws the vital, often overlooked distinction between working on your business and working in your business. will help you grow your business in a productive, assured way. ¿Quieres aprender lo que el autor ha aprendido sobre el dinero? RicaMente te muestra aquello que debes: SER, SABER y CREER para jugar el juego interior de la riqueza y ¡ganarlo! En este ebook entenderás la importancia de elegir ser feliz para recibir " El don infinito ". Por el autor de 12 libros y 10 ebooks, director del Instituto de Expertos y coach financiero. Entrepreneurs Brief Guide - How to Assign Tasks to the Right People. Task allocation is one of the most important jobs of a leader. Selecting the right people to work for you is crucial for achieving the targets of your team. Using the right people for the right jobs could mean the difference between success and failure for your team. As a leader, you must pick people based on their experiences, skills and abilities. You must first understand what situation you are in and what you need doing, and then select the right candidates. In 30 minutes, learn how to: (a) Pick the right people for the right jobs, (b) Deal with overlaps and gaps, (c) Brief each team member and (d) Know if you have selected the right candidate. 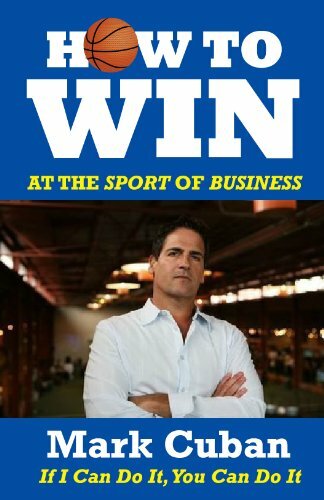 Mark Cuban shares his wealth of experience and business savvy in his first published book, How to Win at the Sport of Business, available now only as an e-­book. Using the greatest material from his popular Blog Maverick, he has collected and updated his postings on business and life to provide a catalog of insider knowledge on what it takes to become a thriving entrepreneur. Cuban tells his own rags-­to-­riches story of how he went from selling powdered milk and sleeping on friends' couches to owning his own company and becoming a multi-­billion dollar success story. His unconventional yet highly effective ideas on how to build a successful business offer entrepreneurs at any stage of their careers a huge edge over their competitors.